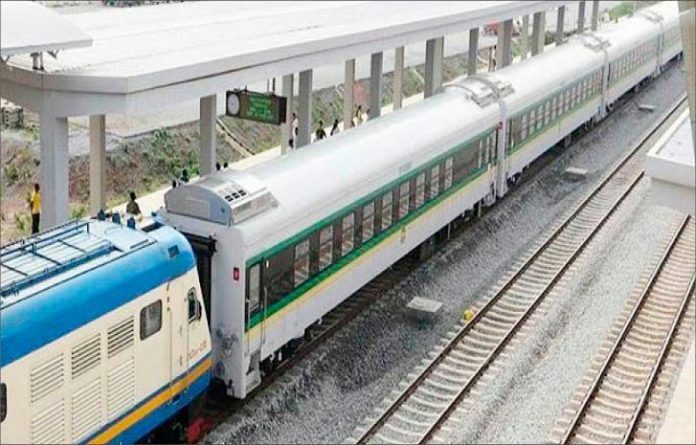 There are indications that the Federal Government plans to deploy more coaches and locomotives in the Abuja-Kaduna fast rail to decongest the trains along the route. By so doing, increase commuters for the daily traffic. The plan also coincides with the promise by the Minister of Transportation, Mr Rotimi Amaechi, to ensure the completion of the ongoing construction work on the Lagos-Ibadan standard gauge railway project in May this year. The spokesperson for the Nigerian Railway Corporation, Mr Yakub Mahmoud, gave the hint about the new rolling stock on the Abuja-Kaduna standard gauge rail line. He said the train service, currently running eight trips daily except Wednesday (four each from Kaduna and Abuja), might be increased to hourly once sufficient coaches and locomotives were deployed on the route. He said the ultimate plan is to run a train every hour along the Abuja-Kaduna line by the time the NRC is able to deploy more coaches and locomotives there. Mahmoud also stated that some NRC engineers would be travelling to China for about six-month training in how to carry out effective maintenance on the locomotives and others. Meanwhile, Rotimi Amaechi, the transport minister has asked the contractor handling the 156km Lagos-Ibadan railway project, China Civil Engineering and Construction Company, to complete the civil work by April to ensure the delivery of the whole project in May. He said if civil work was completed before the rainy season, the laying of tracks could progress unhindered. The minister spoke during a routine inspection of the project with officials of the ministry and the NRC in Ibadan. He said the tempo of work on the project had been slow because of the general elections. “We are pushing now that they must complete the civil work before the rains and they (CCECC managers) have promised that by the time we come on 28th of March, they would have gone far with the civil work,” Amaechi said.